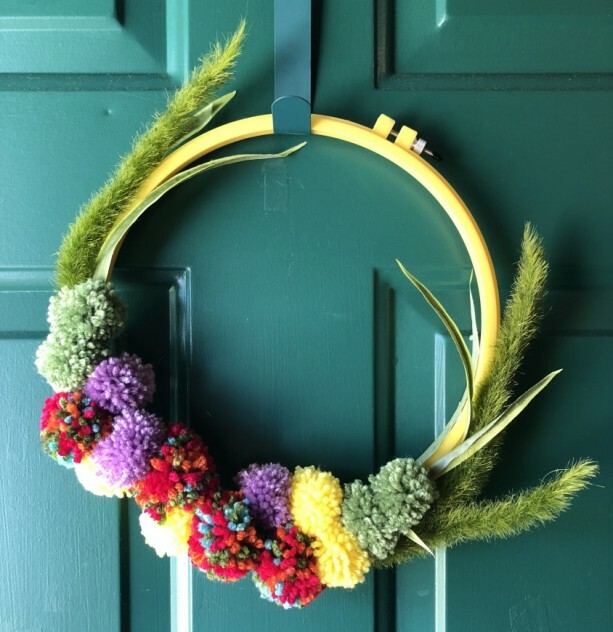 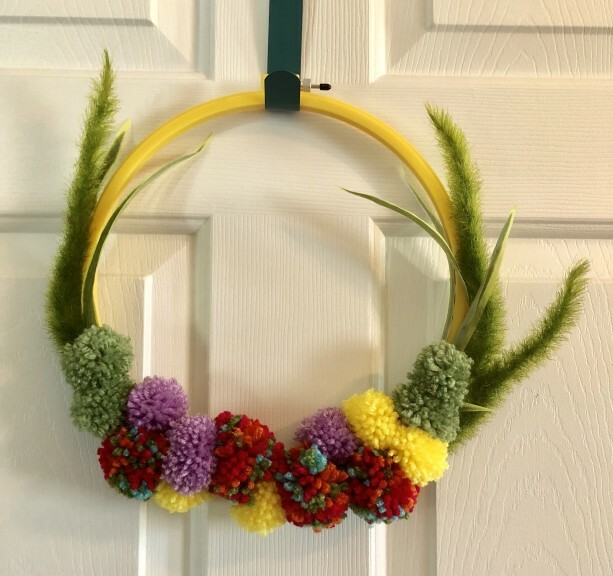 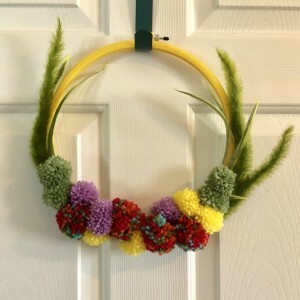 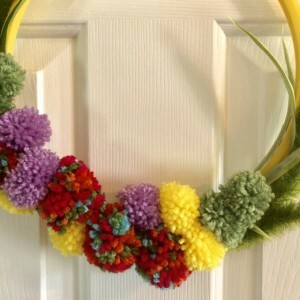 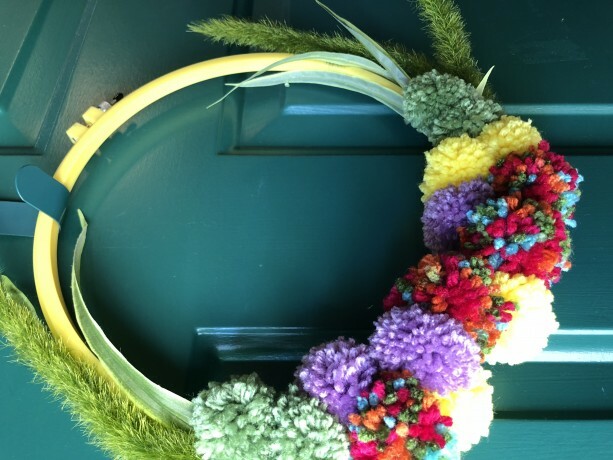 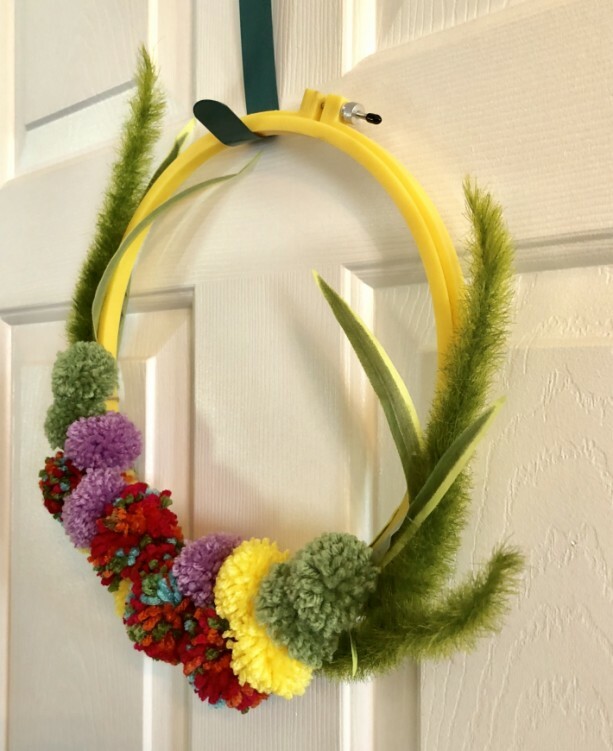 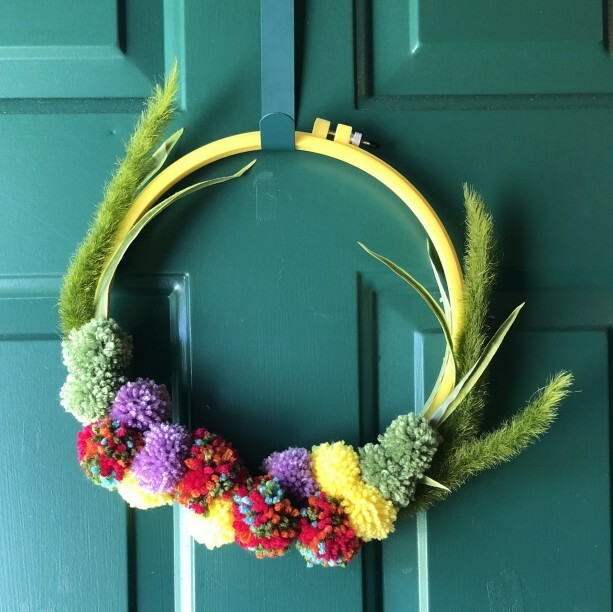 Bold and bright kitschy embroidery hoop wreath with pom pom flowers perfect for all seasons and and decor! 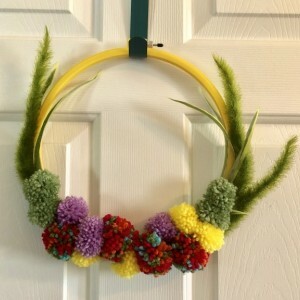 Wreath measures 12 inches in diameter. 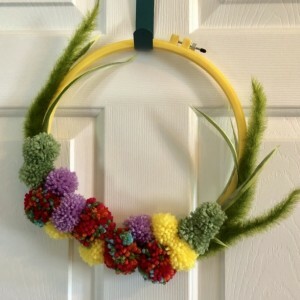 Pretty yellow embroidery hoop is used for the wreath base. 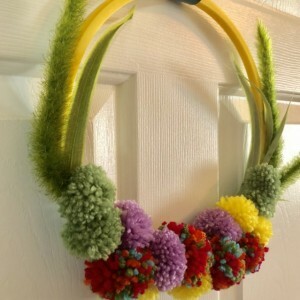 Hoop is accented by three large faux crested dog's tail plants. 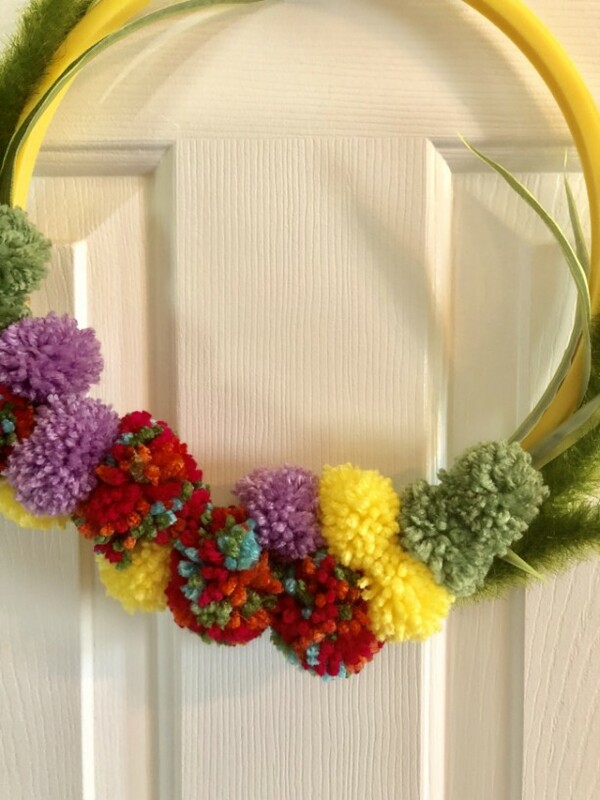 Fifteen hand rolled and hand cut yarn pom poms take center stage as bright flowers in multi color, yellow, lilac, and green. 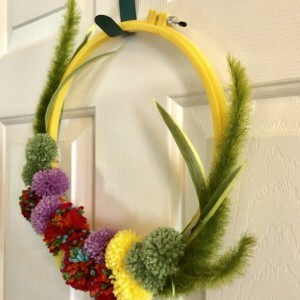 All embellishments are hand tied and/or gently glued to the hoop form. 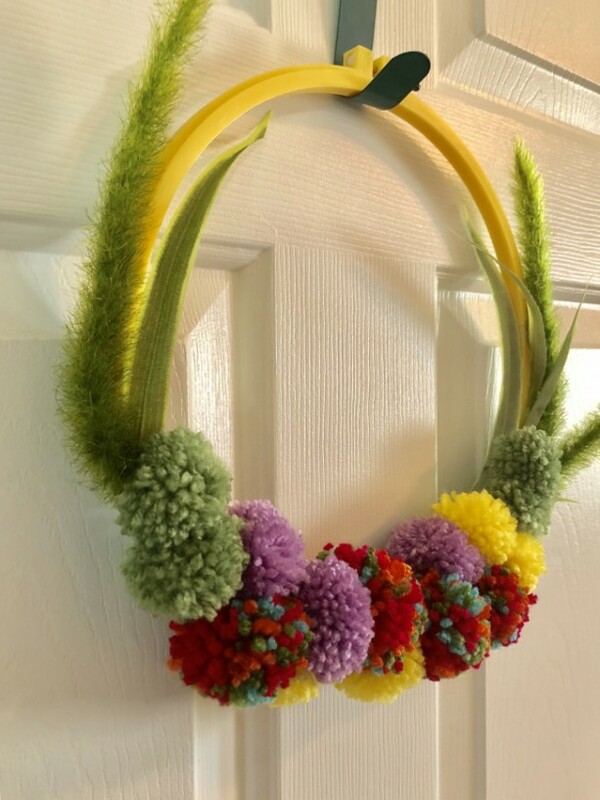 This wreath will last season after season, and can be hung straight onto a hook by the middle or choose off-center for two different looks. This wreath is perfect for your door, and fits nicely between storm and interior doors. 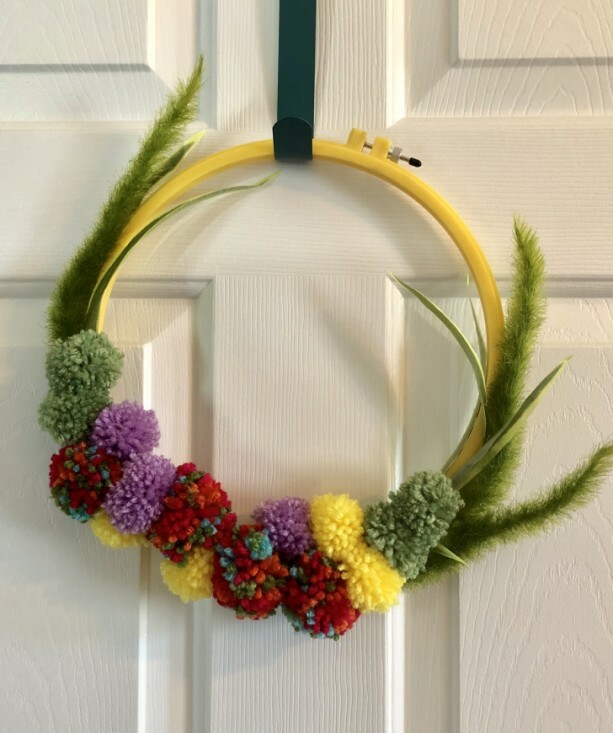 Great for home and office; gift giving, too! 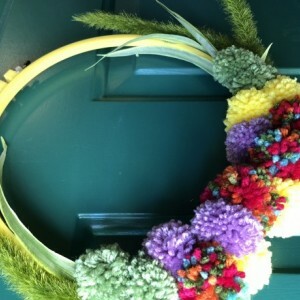 A gorgeous decor piece for weddings and housewarmings! 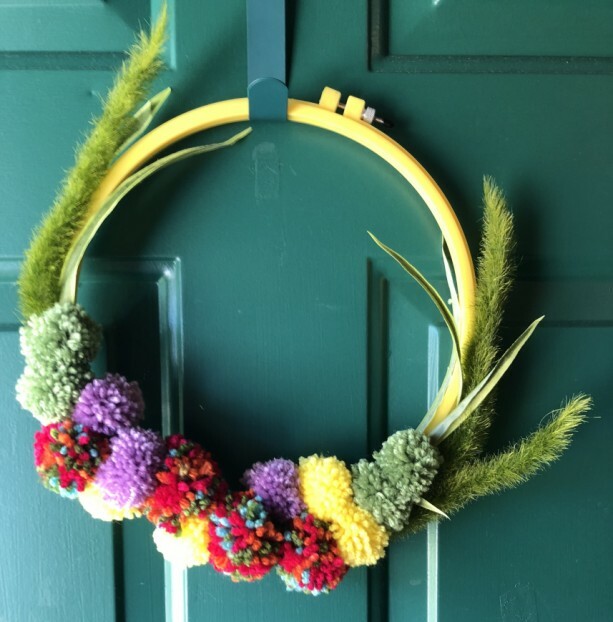 All items in my shop are packaged carefully using reused and reusable materials to insure an economic and earth-friendly trip from my home to yours!